Women's shelters in Alberta turned away thousands of women and children in the past year, despite receiving a $15-million boost from the provincial government in 2015. But the Alberta Council of Women's Shelters said that doesn't mean the extra funding was insignificant. Data collected by the council showed around 13,000 women and children were turned away from women's shelters in the past year. About 9,000 more were turned away for "other reasons," such as the shelter being unable to meet the needs of those who turned up. Carolyn Goard, the director of member programs for the Alberta Council of Women's Shelters, said the extra jolt of funding has helped, but more work needs to be done. "It was an amazing injection of funding," Goard told CBC's Radio Active Tuesday. "That's not to say that there still are not capacity issues for women and children seeing violence who need a safe space to stay, but it does mean that when that amount of money is invested in women's shelters, it really makes a difference." Women and children often turn to shelters when there is violence in the home and have no other place to turn. According to 2014 statistics from the Canadian government, Alberta has the third-highest percentage of people reporting domestic violence. The $15 million was added to the $34 million the shelters received in 2015, according to the Alberta government. Goard said there are about 10,000 women and children in both emergency shelters and second-stage shelters, and that number has remained the same since last year. 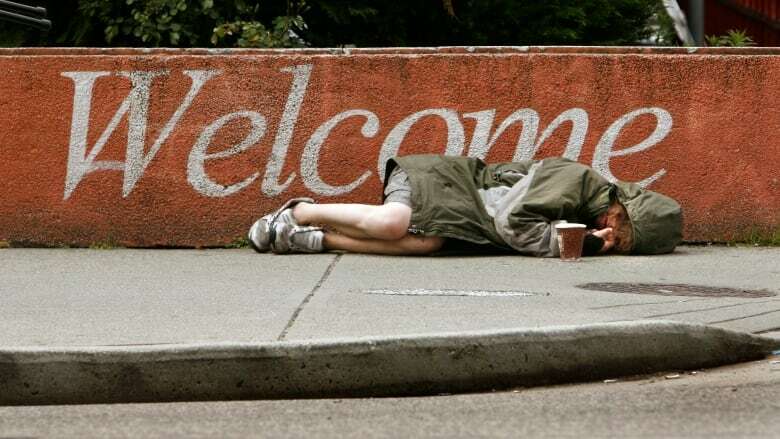 But the 41 shelters across the province collectively saw a 45 per cent increase of in the number of women and children accessing outreach services. They also saw an 18 per cent decrease in the number of people being turned away. Goard said 2015 was the first year women's shelters received a funding boost of this size since their first round of funding in the mid-1980s. That funding for second-stage shelters is particularly important, Goard said. Second-stage shelters are apartments with subsidized rent where women and children can stay while they work toward independence. The average stay for an emergency shelter is 14 days. The average stay for second-stage shelters is 245 days. Goard said the extra funding goes a long way for the second-stage shelters. "It really keeps the issue solidly at the forefront in the community's mind and that shelters are doing really good work," she said. Though the statistics show more needs to be done, Goard said she and the council are happy with the support they've received in the two years since receiving the extra funds. "Support from both government and the community, particularly at this time of the year, is really appreciated," Goard said. "We would hope that over time, as funds become available and hopefully our economy will improve … that government will elevate and continue to expand its support for shelters." How will $15M for shelters help women in Alberta?